Deeply nourish your hair without weighing it down using this Dove Nourishing Oil Care Conditioner. The Nourishing Oil Care Conditioner harnesses the power of Nutri-Oils to penetrate deep into the hair follicles and restore your hair from within. The result: silky, smooth, glossy, frizz-free hair that's healthier and more manageable than ever before! This luxurious oil treatment has all of the benefits of an intense hair treatment, but delivers them in just one minute - simply massage Dove Nourishing Oil Care Conditioner into freshly washed hair, leave it in for a minute to allow the goodness to soak in, then rinse off. 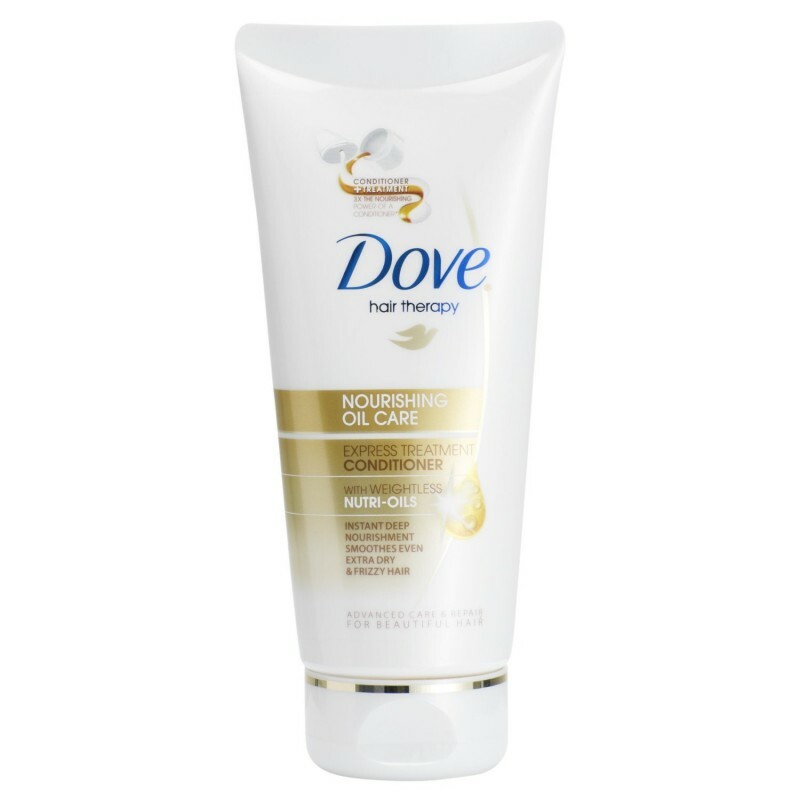 For even better results, use in combination with the Dove Nourishing Oil Care Shampoo.